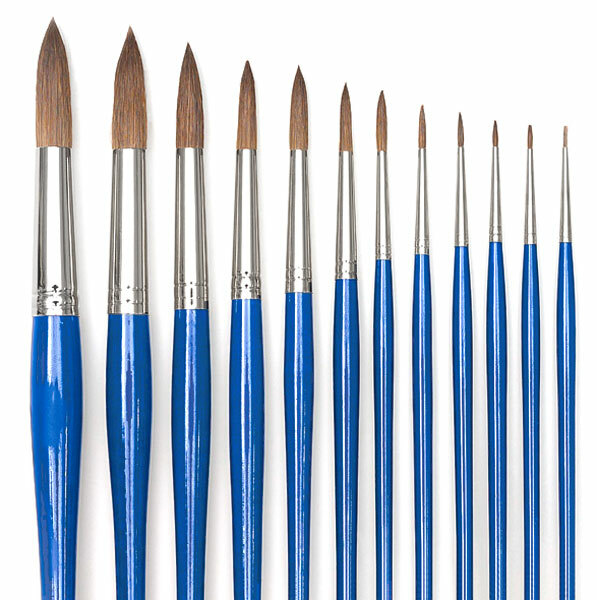 This is an excellent all-around workhorse for students painting with thicker, heavier colors. Dependable craftsmanship gives this brush nice balance. The hairs offer good resiliency and snap. 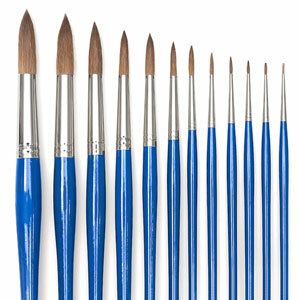 This brush has a natural wood handle with a blue gloss finish. This set includes sizes 3/0, 2/0, 0, 1, 2, 4, 6, 8, 10, 12, 14, and 16. Short Handle.